▶ SoldThis listing was sold on Nov 21, 2017 for the price shown here. 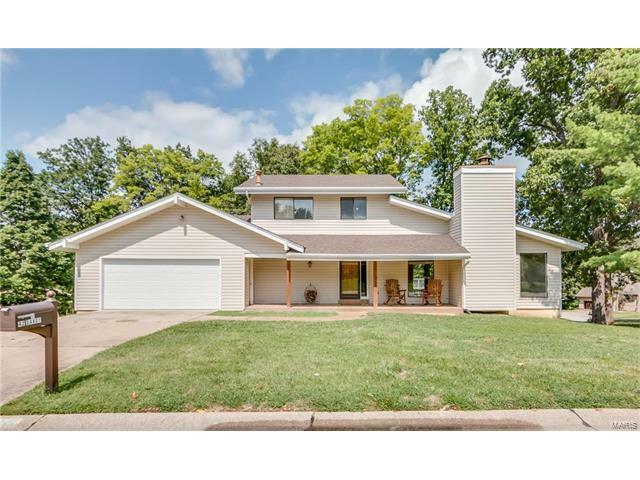 This home boasts an open floor plan with vaulted ceilings, sunken living room and FP with a 2nd story loft, perfect for entertaining AND located on over 1/3acre lot in the sought after Wentzville School District with a resort lifestyle! Main floor master w/ walk in closet, and renovated main level bath. The upper level provides two additional bedrooms and a den perfect for a playroom or reading area. The main level has just been painted, brand new roof, new stamped concrete walkway, new garage door and newer water heater. Relax on your front porch or unwind on your back deck. Take a short stroll to the playground or grab a fishing pole and walk to Lake St Louise. The LSL Community Association includes access to 2 lakes, marinas, parks, a par 3 golf course, premier tennis courts, olympic size pool and children’s pool, clubhouse with bar & grill, national award-winning ski club, sailing, fishing and much more! Don’t miss the perfect opportunity to make this house YOUR HOME! I-70 to Lake St Louis Blvd, WEST on Veterans Memorial Pkwy, LEFT on Delorie, RIGHT on Savoy, home will be on the RIGHT.